SOLD Fast &amp; for TOP Dollar! 6 Beds 5 Baths 5,832 Sq. 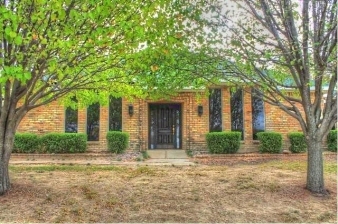 ft.
6 bedroom, 5 bath Texas Ranch Style living on over 2 acres with guest house and gorgeous lake views. Upstairs gameroom has fireplace, wetbar, full bath, and nice view of lake. Enormous kitchen with breakfast area, and elegant formal dining. Horses permitted. Home is in need of updating & tlc. Bring your offers!